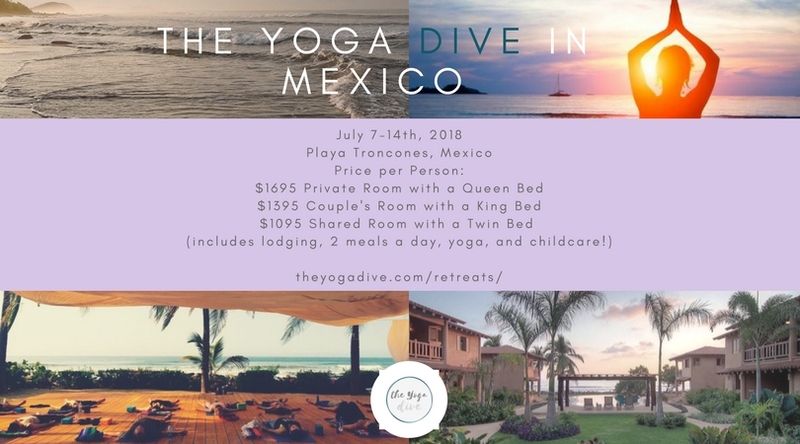 Join us Saturday, July 7th through Saturday, September 14th for our next Mexico Yoga Retreat! We'll be staying in the beautiful Tronconces, Mexico on the Pacific coast. This sweet little coastal town is 30 minutes from the busy Zihuatanejo, and 30 minutes from the very quiet amazing surf town of La Saladita. Each day we'll have breakfast and dinner prepared for us by a private chef, and we'll have morning and afternoon beach-side yoga. In between, we'll surf, swim, explore the town and around the area, horseback ride, watch baby turtles find their way to the ocean, connect, and just generally enjoy life. View Las Villas Troncones, where we'll be spending the week. Children 6 and under are free; children 7-12 are $300. Payment plans available. $500 deposit required to hold a spot.